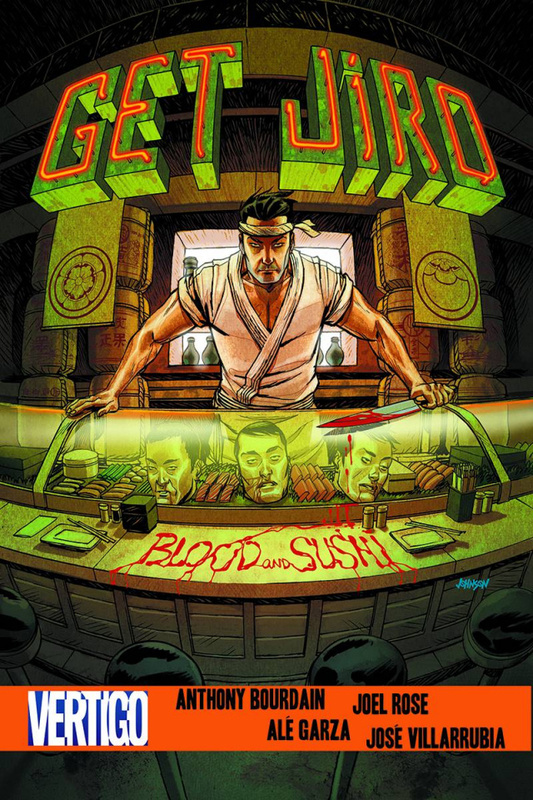 Acclaimed chef, writer, and television personality, Anthony Bourdain, and Joel Rose (Kill The Poor) return for the follow-up to their #1 New York Times bestseller, GET JIRO!, from Vertigo. In GET JIRO: BLOOD AND SUSHI, Bourdain and Rose examine the origins of the mysterious Jiro and what made him into the chef he has become. Born the heir to a Yakuza crime family, Jiro never longed to travel the criminal path laid out before him, but instead chose to secretly study the rich culinary history of his homeland-something that would have significant repercussions if discovered by his gangster father! And as Jiro's interest in the culinary arts deepens, the challenge of keeping his artistic and criminal worlds separate becomes too great, triggering a great personal loss that will forever change Jiro's path.